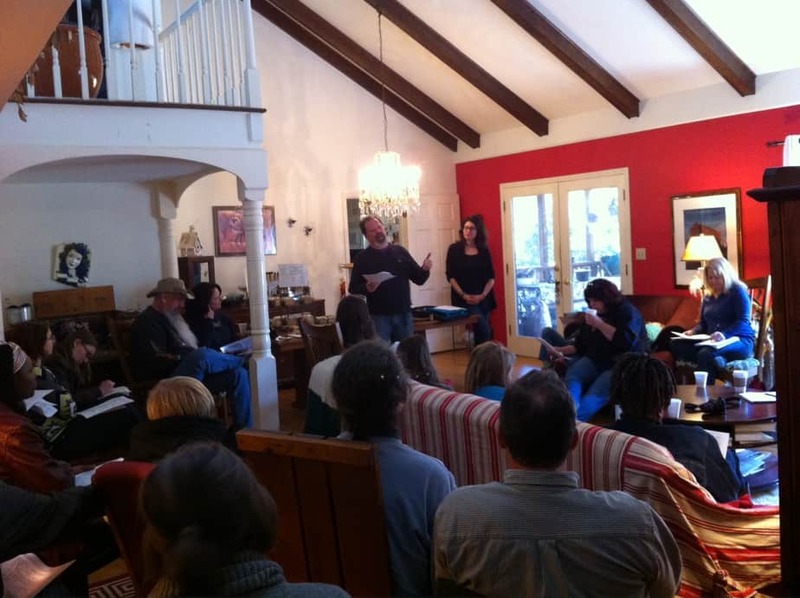 Become a monthly sustainer and come as our guest! Click here to support our work at the Herbalista Free Clinic. In celebration of Valentine’s Day, we launched our Grow a Row program. What better way to share your love for community than to become involved in its health and wellbeing. The idea for the Grow a Row Program was born just a few months ago, over cups of tea at Herbalista Headquarters. Duane Marcus of the Funny Farm has always been an avid supporter of our work at the clinic AND the organic growing scene here in Atlanta. We realized that we could start a program that not only helped to provide more herbs to our free clinic, but gave farmers the resources they need to expand into medicinal herb growing. 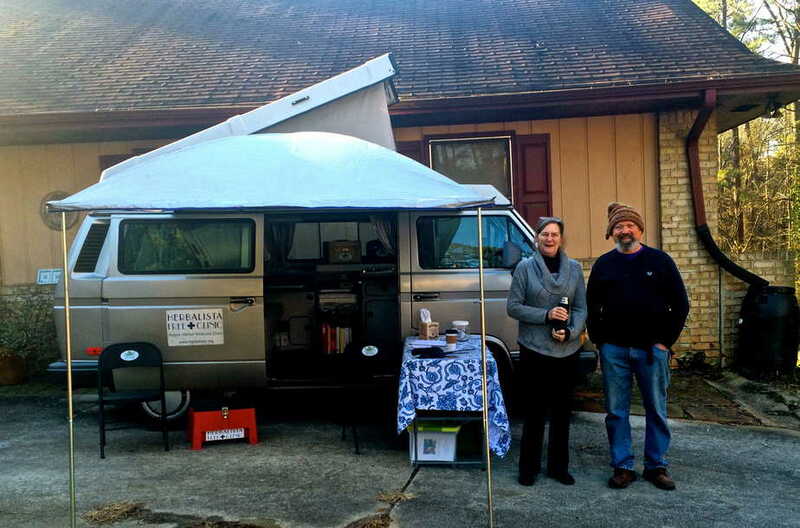 Atlanta region herbalists would have a source for local materials, the public would see more herbs at farmers markets, and our clinic will have more support in its mission of providing earth-based care to underserved communities. If we can grow a local market for medicinal herbs everybody wins! 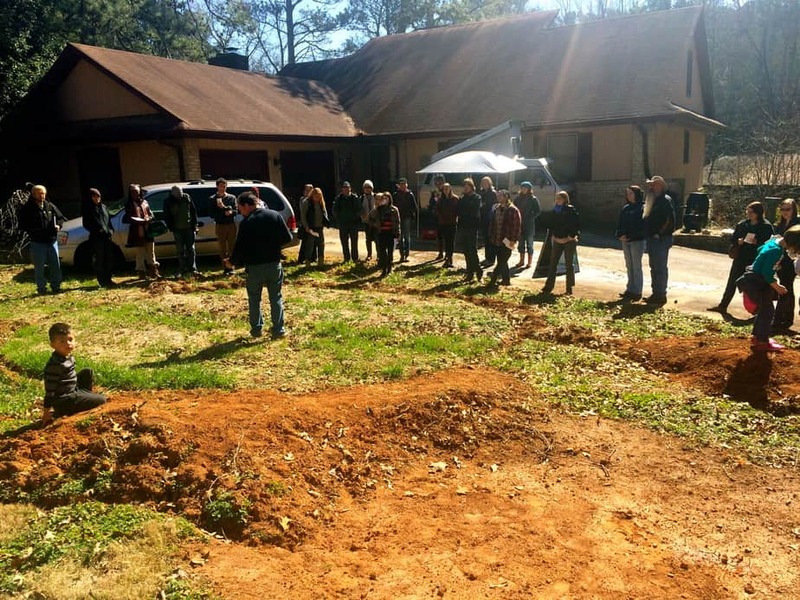 On Saturday, February 14th, we gathered together local farmers and herb enthusiasts at the Funny Farm in St. Mountain (just east of Atlanta) for our first info session. We toured the Funny Farm, let folks meet the Bus, and review 9 herbs in depth that we use large quantities of and would appreciate folks growing for us. Here is a link to the info packet we handed out. We had a great turn-out of almost 30 participants! It is so inspiring to see this enthusiasm for herbs and service! While we are currently reaching out to local farmers with room to grow, we also need help from volunteers who want to be involved in the harvesting and processing of these herbs. If you are interested in getting involved, please write us at growanherbrow@gmail.com. Thank you Duane and Robin for your heartfelt support, for sharing your wisdom, and for your constant dedication to the earth and her inhabitants. 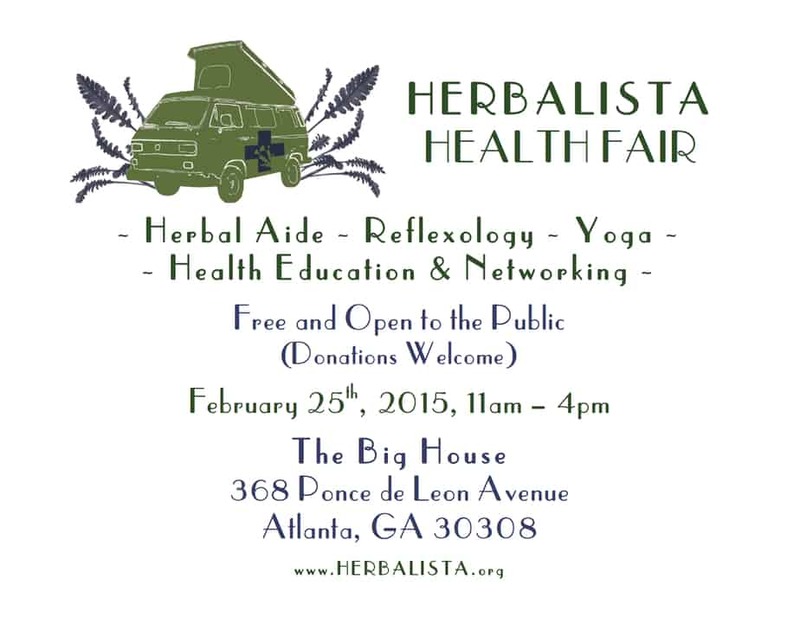 Please join us this February at the Big House for access to an array of health services, including Herbal Therapy, Yoga, Reflexology, and more. Services are on a first come, first serve basis, but while you wait, please take part in the classes we will have running throughout the day or network with other friends. 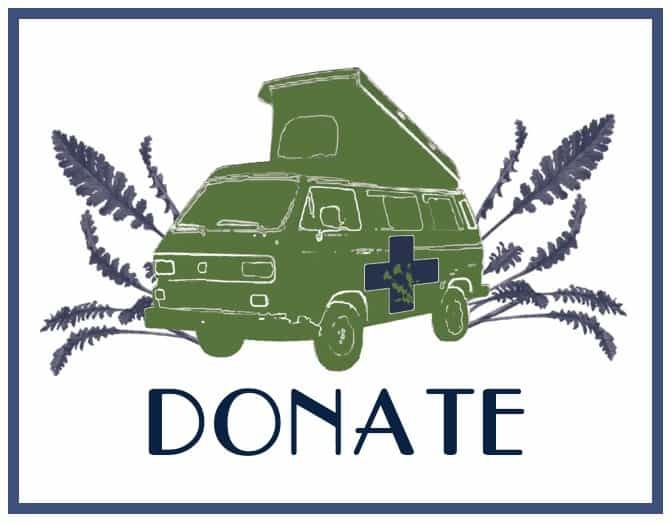 All services are free and open to the public, but donations are most welcomed and appreciated! Brought to you by Herbalista ~ Building Community through Herbalism!